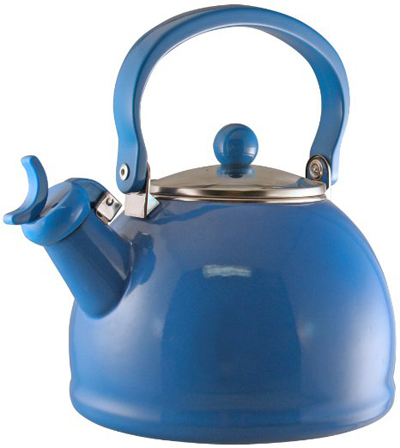 Calypso Basics presents a fresh azure colored Calypso Basics Whistling Teakettle to brighten up the cooktop. This two and half quart enamel on steel teakettle, non fading finish with harmonic hum teakettle is perfect for any kitchen. $31.66. Buy here.